After wandering around the vineyard a while and having a late breakfast, we ventured on through the Duoro Valley on our way to Obidos for lunch. 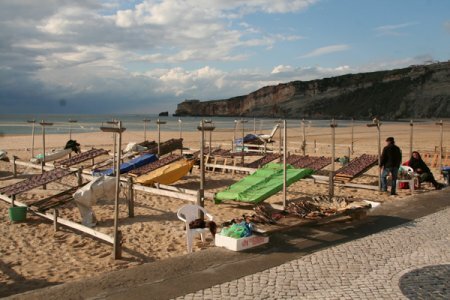 Our GPS took us to a very small village named Obidos rather than the town we were expecting, so we went to Nazare instead. I think it was meant to be because it was a fascinating town on the Atlantic coast. Some of the older women still wear several layers of petticoats under their skirts. The local fisherman bring in their catch, clean them, and put them neatly on racks to dry in the sun. Their wives then sell the dried fish. No, we didn’t try them. The look and smell were quite unappetizing. 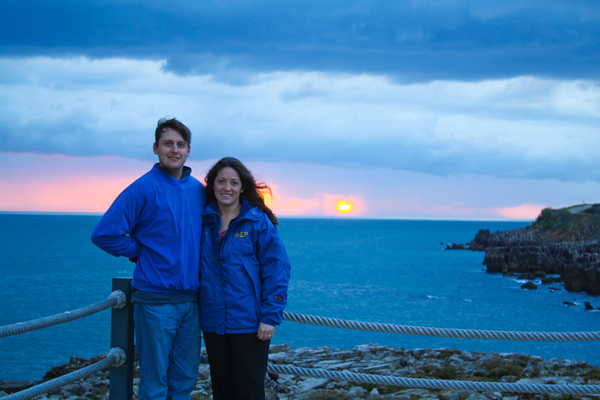 Off to our next destination, Peniche, to watch the sun set over the Atlantic. Such a sight! Due to the layout of it’s beaches and breaks, the town is known for having some of the best surfing conditions in Europe. Everyone was in Mardi Gras mode for the weekend with lots of costumes and music. We had such a nice day meandering along the coast that we ended up arriving in Lisbon rather late. The next morning we started out by going to St. George Castle. 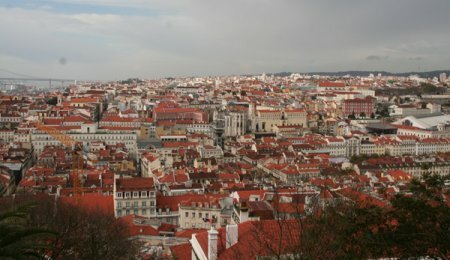 While the castle is interesting to see, the real attraction is the great view of several main squares and avenues and many churches in Lisbon. We could also see for miles along the riverfront and the 25th of April Bridge. From there we walked down the steep streets to Praca do Comercio to catch the trolley to Belem. Here we toured the Monastery of Jeronimos. 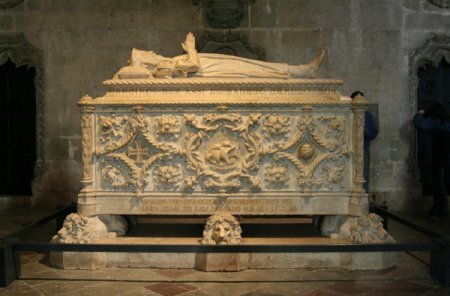 It was built in 1502 to commemorate Vasco da Gama‘s successful voyage to India and now houses his tomb. 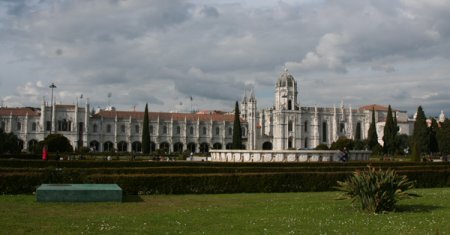 The cloisters are where the signing took place when Portugal joined the European Union in 1986. 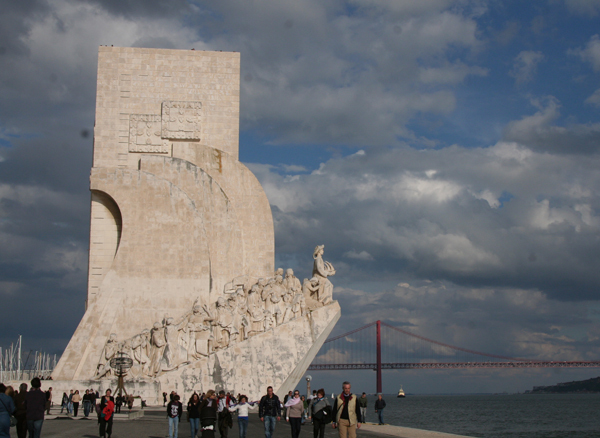 From there we crossed the street to the impressive and massive Monument to the Discoveries. It was built in 1960 for the 500th anniversary of the death of Prince Henry the Navigator. 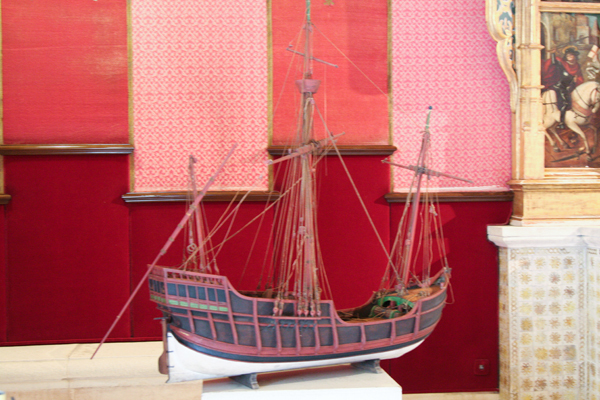 It represents a 3-sailed ship ready to depart. 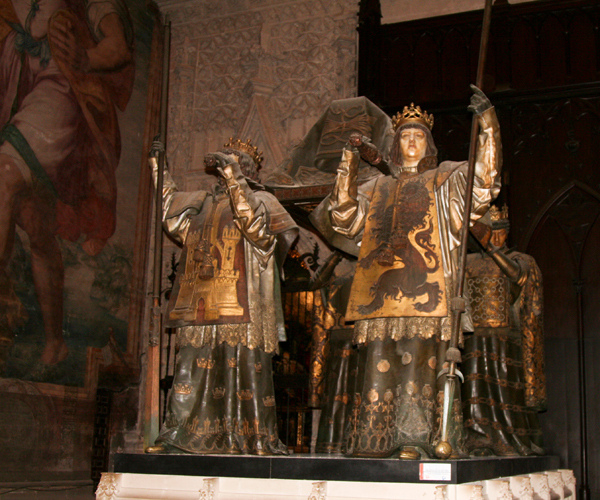 The sculptures are of famous men who were prominent in early maritime exploring. Nearby was Belem Tower, the point from where the explorers embarked on their journeys and to where they also returned. 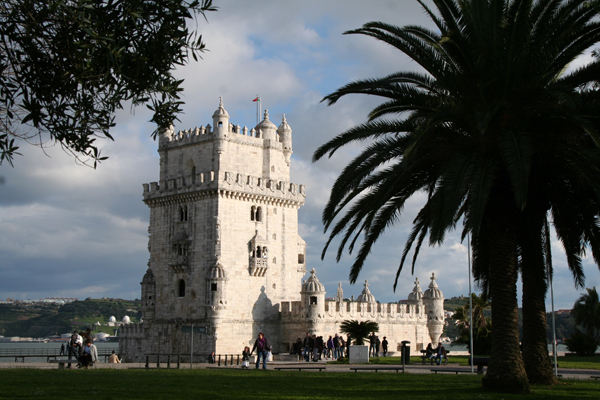 It was built in 1515 as a fortress to guard the Lisbon harbor. After waiting quite some time for our bus which would take us back to the area of our hotel, we realized it didn’t run on Sundays. Good thing there were plenty of taxis available. 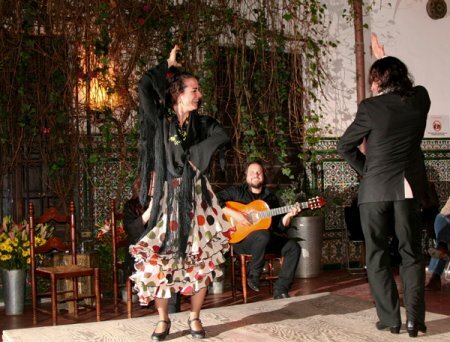 In the evening we (my wife and I) thought we should experience the traditional Fado of Lisbon. Our daughter and son-in-law were their usual cooperative selves and went along with our decision. Fortunately, the dinner was fine. The singing is very mournful, and no one is to talk or interrupt in any way. Now we can say we’ve experienced a Fado. It was sad to realize our trip was ending. The next morning we said goodbye to our “kids” at the airport and drove back to Madrid to return the car. As you know from an earlier post, we enjoyed the next day birding in the Madrid area before coming home. 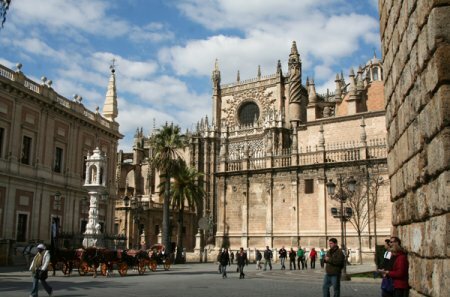 We found the people and country of Spain to be beautiful and interesting. We hope to visit there again. Heading northwest we passed an abundance of oranges, olives, and grapes being grown. We stopped in Merida, a Unesco World Heritage Site to see some of the many well-preserved Roman ruins. We’re on our way to Portugal! 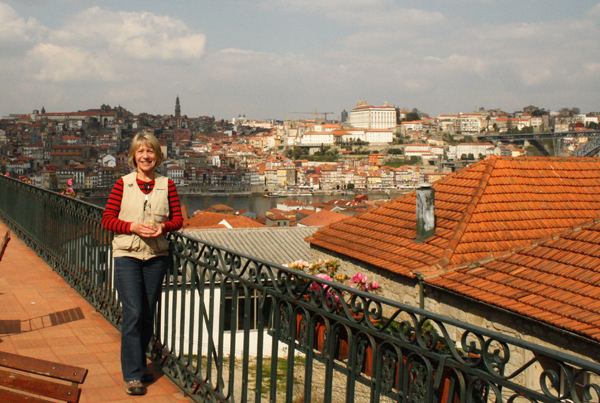 We decided we should experience Portugal while we were in the area. We arrived in Porto during evening rush hour, so there was heavy traffic on narrow streets, but the drivers were very polite. We eventually found our nice hotel overlooking the river. We followed the river walk to a great restaurant. 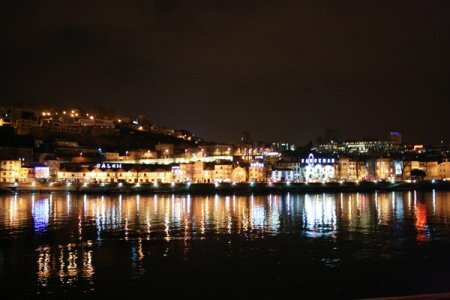 The view across the river was so beautiful with all the lights in the evening. After breakfast the next morning we were off to explore some of the port wineries. To get there we had to cross a huge suspension bridge. From there we had a perfect view of the city. 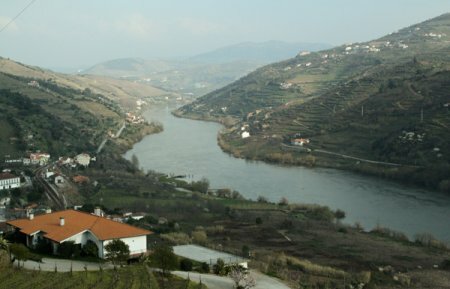 All along the river bank are the boats from the different wineries which bring in the grapes from the vineyards. Actually, they are for ambiance since today transportation is provided by stainless steel semis. 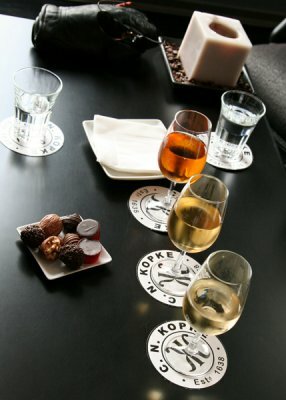 Our first stop was at Kopke, the oldest company. They were very hospitable and treated us to four varieties of their fine port wine accompanied by chocolates. On to the Sandeman winery. This is a much larger operation which offers tours. 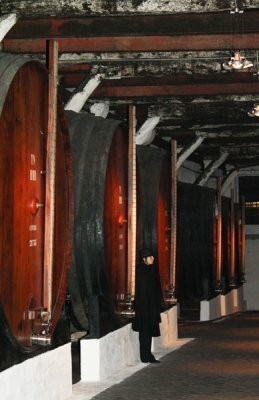 How interesting to see the huge wooden vats of aging wine and learn about the process of producing port. More samples. We got our exercise by walking up, and I do mean up, to the Taylor winery for lunch. Not only were the food and port very good, the view from their patio was quite a sight. 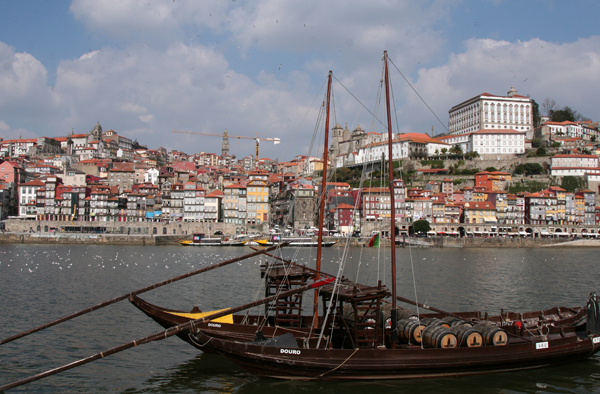 We chose to go to Porto only because it was about the right driving distance to cover in a day. As it turned out, it was one of our favorite places. After lunch it was time to head out along the Duoro Valley. Many of the roads were narrow and winding, but seeing the hillsides covered in vineyards was spectacular. We arrived at the Marrocos Vineyard for dinner and overnight lodging. Due to a glitch with the email reservations, they were not expecting us. Panic! Not to worry as they graciously prepared dinner and invited us to eat with them in their kitchen. Caesar took us on a tour of his operation which is much smaller and different from what we experienced in Porto. They actually stomp the grapes the old-fashion way by having people walk in them for four hours. 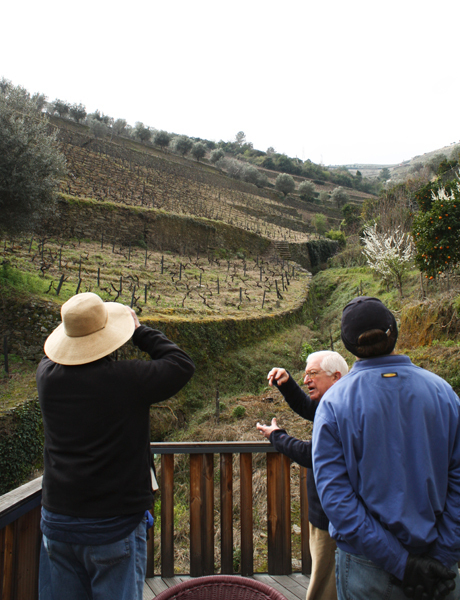 He then allowed us to enjoy wandering around their vineyards on our own. Another great day! Everyone was so pleasant. Also, English is more widely used there probably because of a long-standing relationship with Great Britain. 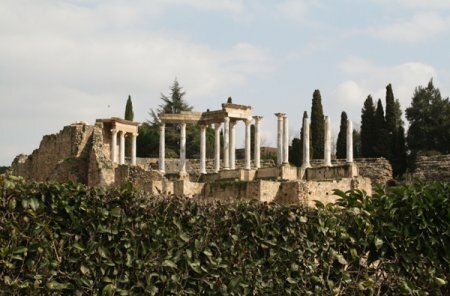 Today we left the mountains and drove through beautiful Andalucia countryside to Seville. My wife and daughter often have a problem riding in the backseat of a car in the mountains, so my wife drove while my daughter navigated. 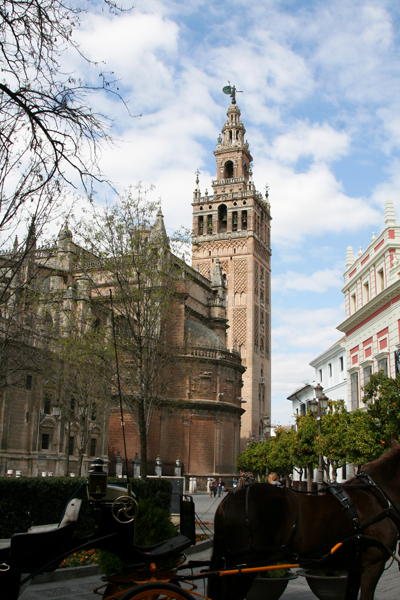 When we arrived in Seville, I knew I had made a very wise decision to let her drive. The streets in the Santa Cruz area were unbelievably narrow. In fact the street of our hotel was pedestrian only. After the three of us dropped our things at our hotel while my wife double-parked, I waited at the hotel while they drove to the parking garage and maneuvered the car into a very small spot. I was relieved to see they were smiling and laughing when they returned to the hotel. After lunch we visited the Alcazar which is still used today as a royal palace. 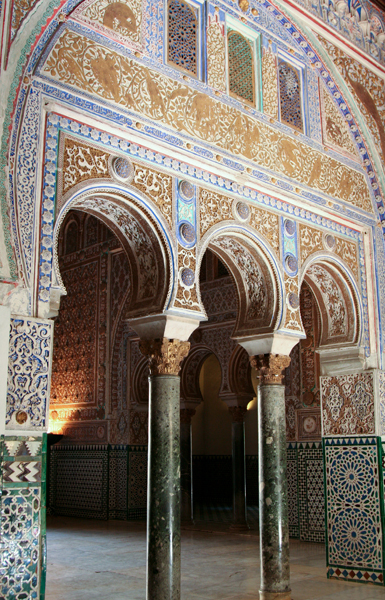 It was originally built by the Moors in the 10th century. 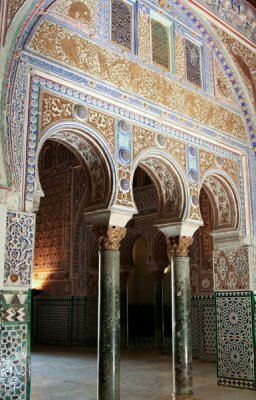 Part of the interest here is that it was extensively remodeled in the 14th century by Moorish workmen for the Christian king, Pedro I. In the Admiral’s Apartments is the earliest known portrait of Christopher Columbus as well as a model of his flagship Santa Maria. 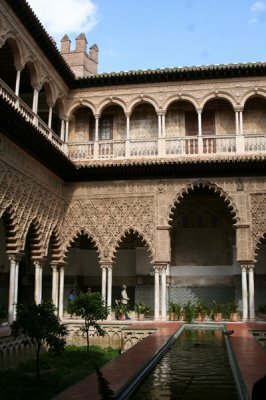 We also enjoyed seeing the Patio of the Lions, King Pedro I Palace, Court of the Maidens, and the lovely gardens. In the Gothic wing of the Palace are copies of 16th century tapestries from Brussels. On to the cathedral which is the 3rd largest church in Europe. As you probably know, the largest is St. Peter’s at the Vatican followed by St. Paul’s in London. This is, however, the largest Gothic church anywhere. 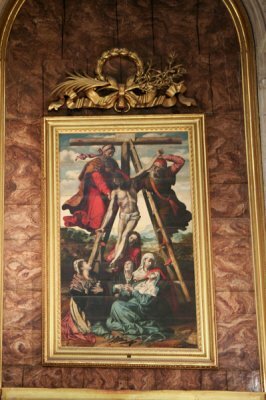 Some of the works included in the art pavilion are by Seville’s 17th century masters, Bartolome Murillo and Francisco de Zurbaran. 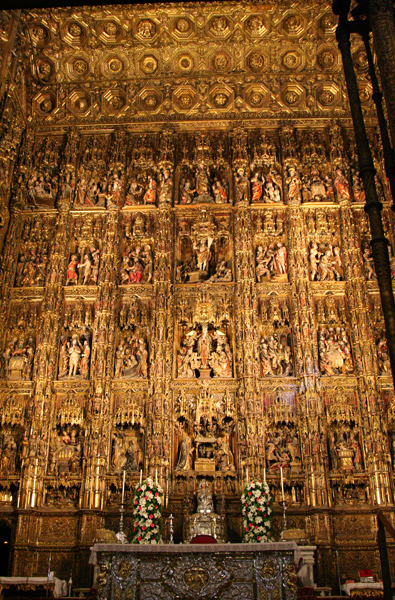 As one would expect in such a large church, the 65-foot tall high altar is the largest altarpiece ever made. It shows 44 scenes from the life of Jesus carved from walnut and chestnut and covered with an enormous amount of gold leaf. The 7,000-pipe organ, the chapels, the sacristy, and the treasury were all very interesting to see. One of the most photographed sights is the tomb of Christopher Columbus. The Giralda Bell Tower was originally built as a Moorish minaret, but is now the cathedral’s bell tower. Of course we climbed 330 feet up for a view of the city. Instead of steps, there’s a spiraling ramp designed for riders on horseback to answer the Muslim call to prayer five times per day. You know the saying “when in Rome….” Well, when in Seville, one must experience flamenco. Seats were on a first come basis, so we arrived in plenty of time and were very glad we did because we had a perfect view. The guitarist was outstanding, the singer was very soulful, and dancers were great fun to watch. The show was a real highlight of the trip. A glass of port, then off to bed following a busy day of sightseeing.